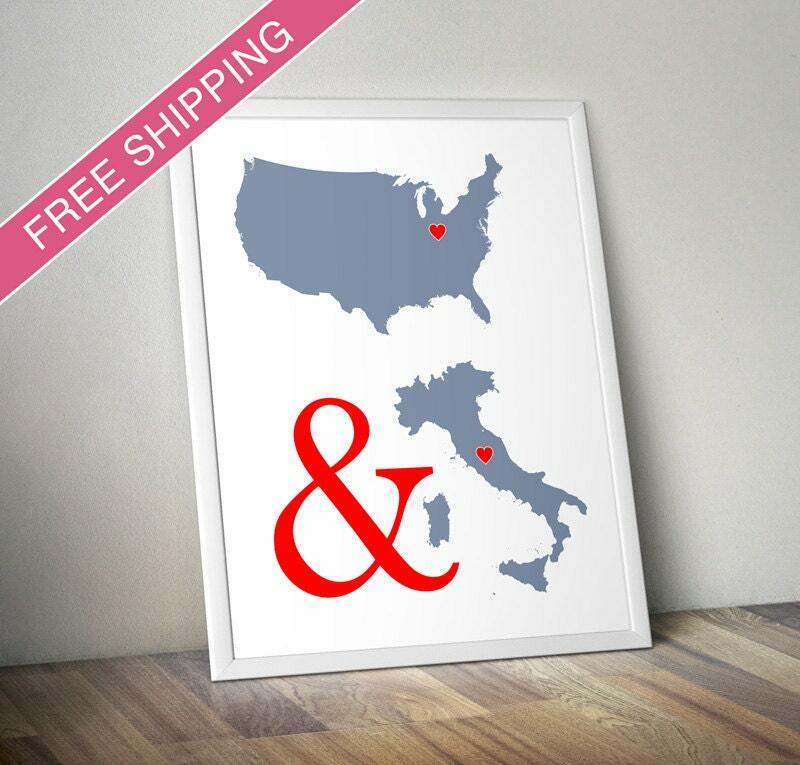 Custom print featuring the map of any two countries or states, with the hearts placed in the location of your choice. It is a great reminder of your long distance love story. This artwork makes a beautiful wedding, anniversary, or engagement gift.